Shopping for Playoff Party Food is Its Own Sport in New Ad for Sam’s Club and Tyson Foods: "Steve"
With the NFL playoffs in full swing, Sam’s Club recently tapped director Chris Dealy of creative content studio The Collective @ LAIR for a spot for Tyson Foods & Sam’s Club poking fun at sports fan culture and the resulting rituals of gathering food before the big game. Parodying the intensity and scrutiny of sportscasters, the spot feature consumers as if they were athletes in their choices of selecting certain Tyson items. 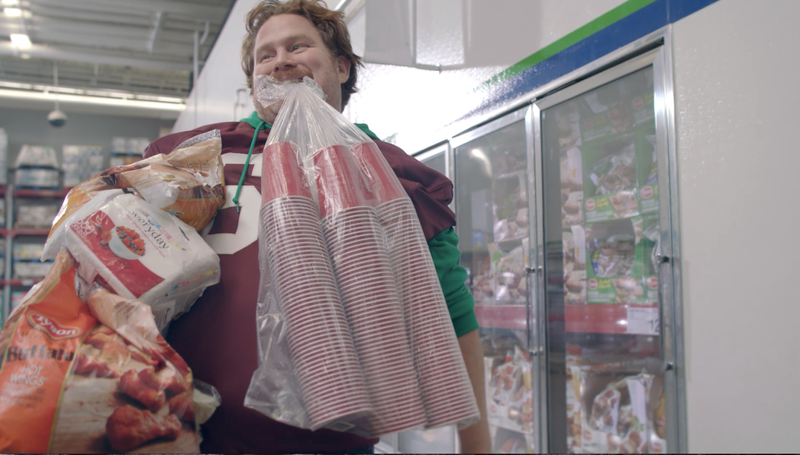 AdStasher: Shopping for Playoff Party Food is Its Own Sport in New Ad for Sam’s Club and Tyson Foods: "Steve"